Hands4Hire offer professional cleaning of ovens in the Wolverhampton area. We are a family run oven cleaning company based in Wolverhampton and our oven cleaning service can be used stand alone or as part of an end of tenancy house clean. We have a reputation for providing a professional, reliable and fully insured oven cleaning throughout the Wolverhampton area. Call 01902 218047 or request a oven cleaning quote online. Why Choose Us For Oven Cleaning in Wolverhampton? If you need reliable oven cleaners for your Cooker, Aga, Range or oven cleaning then call 01902 218047 for prices and information or alternatively you can get an oven cleaning quote online. 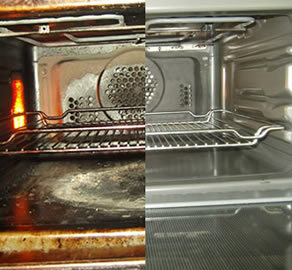 Get an oven cleaning quote online or call 01902 218047 for an instant oven cleaning quote. If you are looking for professional, fully insured & reliable oven cleaners in the Wolverhampton area contact Hands 4 Hire Cleaning Services Wolverhampton today!